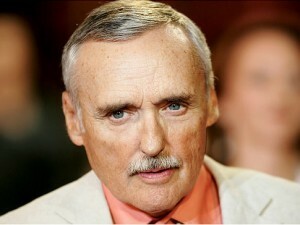 Acclaimed actor and director Dennis Hopper died Saturday at 74 after a long struggle with prostrate cancer. Having starred in more than 100 movies, Hopper is perhaps best known for his roles in Apocalypse Now, Blue Velvet, and Hoosiers, along with the iconic Easy Rider, which he also co-wrote and directed. Sigh. No less sad for having been long expected.